It is time to relax at American Family Fitness! We can’t wait for you to enjoy our sauna, tanning beds, and hot tub for some hard-earned stress relief. At American Family Fitness in Virginia Center Commons, we believe that relieving stress and eliminating tension is just as important to your health as exercise. With our amazing sauna, tanning beds, and hot tubs, our members can treat themselves to a happier and healthier state. It’s time to take care of you, so grab a book and let your tension float away. Do you develop a lot of tension in your body throughout the day? The best way to relax is to visit the deluxe dry sauna at our gym in Glen Allen. The 165-degree heat and 0% humidity allows your body to increase circulation, and decrease blood pressure. Start your workout in the spacious locker rooms at our Glen Allen health club. Just bring your own lock and stow your belongings in the day-use lockers. Change in the private dressing rooms and get refreshed in the private showers. 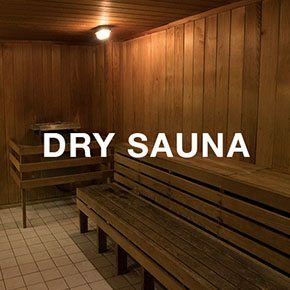 Or relax and unwind in the dry sauna before facing the day again. 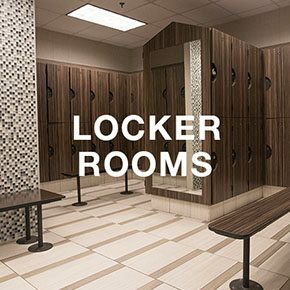 Our locker rooms are clean, comfortable, and convenient. 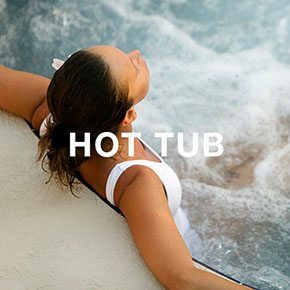 Does the warmth of a hot tub help you relax? At our Glen Allen gym, we offer hot tubs to loosen your tense muscles, improve circulation, and release that bottled up stress. Relax and let tension be a thing of the past.